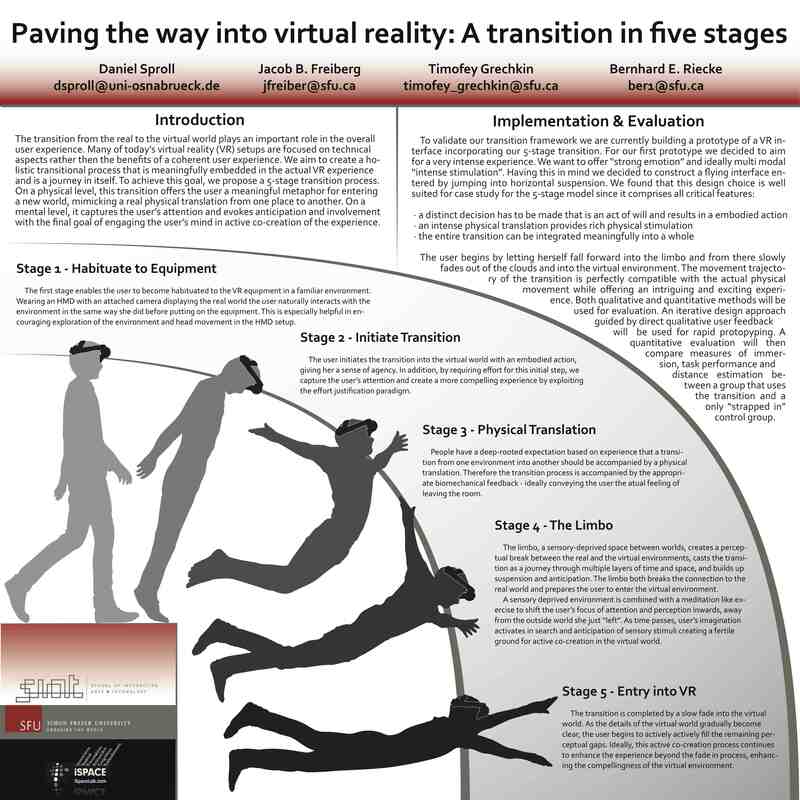 The IEEE VR/3DUI 2013 Conference was held in beau­ti­ful Orlando, Florida in mid-March and fea­tured poster pre­sen­ta­tions from two iSpace Lab members. Daniel Sproll and Jacob Freiberg revealed their poster and abstract at IEEE 3DUI. They present a frame­work for improv­ing immer­sion in Virtual Reality through use of an excit­ing and self ini­ti­ated tran­si­tion from the real world into the vir­tual envi­ron­ment. For more infor­ma­tion take a look at theposter and the two page abstract. Do walk­ing motions enhance visu­ally induced self-motion illu­sions in vir­tual reality? Jacob Freiberg pre­sented an exper­i­men­tal inves­ti­ga­tion of the rela­tion­ship between bio­me­chan­i­cally induced self motion illu­sions and visu­ally induced self motion illu­sions. 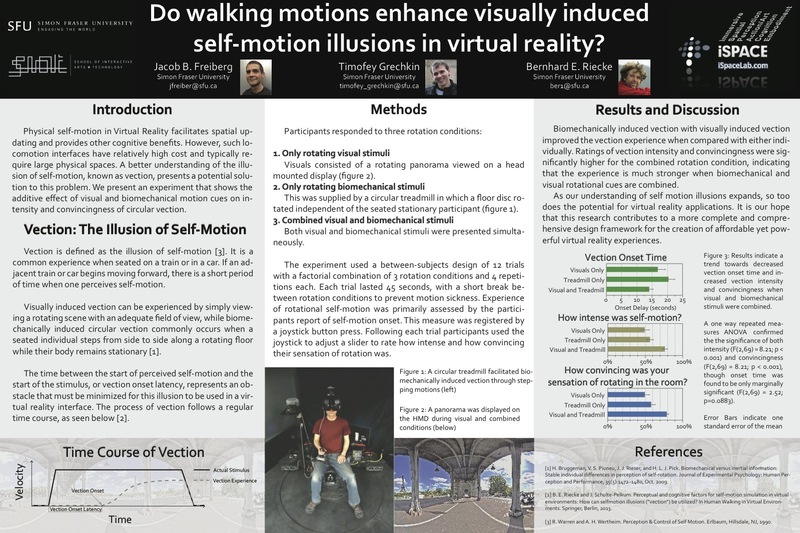 He was nom­i­nated for best poster award at IEEE VR. The poster and the two page abstract can be viewed here.